With a large number of Hamilton electricians to choose from, it’s hard to know who to ring when you’ve got an electrical job at home that needs to be done. 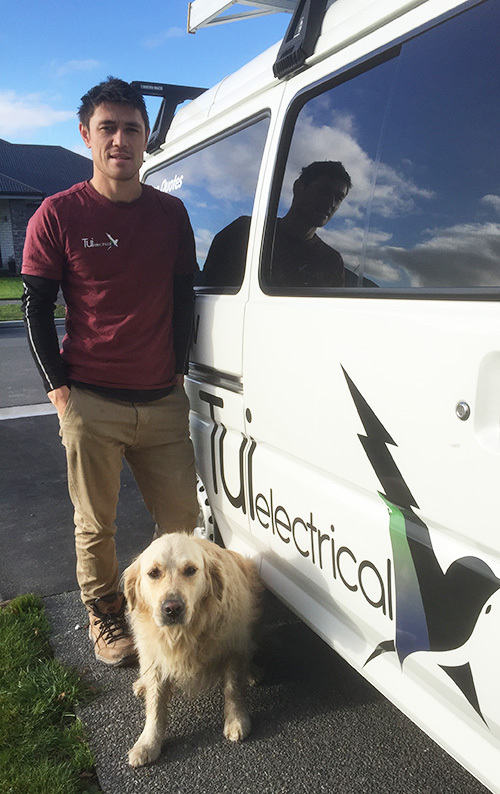 Try Tui Electrical, your local Hamilton electrician, who are focused on service, communication, and doing a great job for their customers. Tui Electrical was established by owner Sam Lim in 2012 and is focused on providing a top level of service to residential customers throughout the city and surrounding districts. Lim’s family is originally from Morrinsville. Tui Electrical can take care of any residential electrical requirements, including renovations, repairs and new homes. Tui Electrical undertakes electrical projects of all sizes, from small one-off jobs through to complete new home wiring, with no job too big or small. Lim says Tui Electrical differs from other electrical contractors due to their focus on service. “We offer a great service and we go out of our way to help people. We are reasonably priced, prompt and have good communication, which we think is one of the big things; We like to help people,” he says. Communication is one of Tui Electrical’s biggest strengths. “We communicate really well with our customers, from the initial quote right through to the end. We stick to our word and we abide by all the rules and regulations,” he says.